Traditional performance reviews have moved far off the mark in growing, engaging and retaining talent. The entrenched practice is too focused on a one, maybe two times per year sit down with a laundry list of inconsequential feedback with ratings that put more weight on personality than on results. Creating frequent feedback touchpoints is far more effective for Leader-Managers, and more engaging for employees. It’s time performance reviews got reinvented. The way we work is simply not the same anymore. For many organizations, we are just a few months away from the dreaded mid-year performance review season. Often perceived as an administrative burden at best, Leader-Managers rarely look forward to these. More disconcerting is that they feel ill-equipped to provide constructive feedback. The traditional year-end appraisal method, developed decades ago, is clearly not effective anymore. Accenture’s 2016 survey found only 34% of the 2,100 respondents see current performance management approach supporting business objectives. 89% believed their performance would significantly improve if performance management were changed. A CEB research showed that only 4% of HR managers think their current system is effective at measuring performance. 83% think it needed an overhaul. Deloitte’s 2015 Global Human Capital Trends showed 82% of respondents see current performance evaluations a waste of time. Same 2017 study of 10,400 leaders showed 79% of executives see the need to re-design their performance management as high priority. Business leaders, alongside HR have been waiting for something different to emerge in the world of performance management for far too long. And it’s happening now. One of the panelists shared that they spent six million people hours, yes, million, on the administration of performance reviews. Yet, they can’t even quantify a clear ROI. This is valuable time taken away from leaders and their teams. Time that could have been spent on delivering business results for the organization. Of those six million people hours spent on administration, approximately 75% of that time was spent talking ABOUT employees, not WITH them. A common issue they all saw in reviews is their focus on looking backwards – to what some did or didn’t do, one month ago, six months, a year ago! Traditional performance reviews fail to keep pace with today’s workplace realities. In November 2016, Forbes cited that 1 of the top 10 trends we would see this year is an increase in the number of full-time permanent employees working alongside freelancers. Performance reviews are typically fixed in time and they often exclude those contractors altogether. Technology and the global nature of work has also made it easier for an unprecedented number of people to work outside of the standard desk setup. 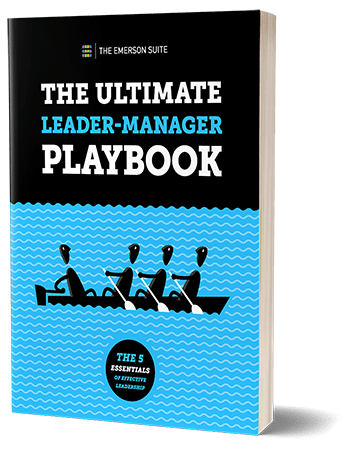 If Leader-Managers are going to optimize team performance and be held accountable for ensuring their teams are all rowing in the same direction, they need to have systems of visibility, transparency and connection that are fluid and dynamic. This means objective setting and feedback interactions that are more frequent and virtual. People managers have been relying heavily on HR to be their source of guidance and expertise on how to provide feedback, coach, and manage conflict. Employees often find themselves in managerial roles for being top producers and experts in their particular field, but have little or no people management experience. Team optimization platforms and performance management needs to become leader-directed, employee-driven, not HR owned. The art of developing great managers has been lost. They need to be developed and nurtured. They need to be empowered with the right team management systems, and provided the processes to embed effective management practices across and throughout their organization. The current performance review process leaves the door open to unwelcome surprises. It’s often too late for employees to adjust their activities to achieve results and be more effective in their roles. Employees are now looking for immediate feedback on their progress towards their objectives. This means facilitating open dialogue channels, like weekly priority check-ins, and monthly objective status checkpoint meetings. That’s what keeps employees on-track, and enable Leader-Managers to help their teams grow and stay engaged. Rear Admiral Grace Hopper once said “The most dangerous phrase in the language is we’ve always done it this way”. Organizations need to respond to the changes we’re seeing in the workplace today and how work is completed. Those who will read the writing on the wall will create a new employee experience that embraces real-time feedback with alignment of individuals and teams to organizational results. In turn, these will be the organizations who hit their targets, reduce employee burn-out and see an increase in an engaged and high-performing workforce.